Well, as you may have noticed, I got a high level domain name for my blog~ Thanks to my friend Tombo, who also got one, I found out you can buy domains easily via WordPress.com! 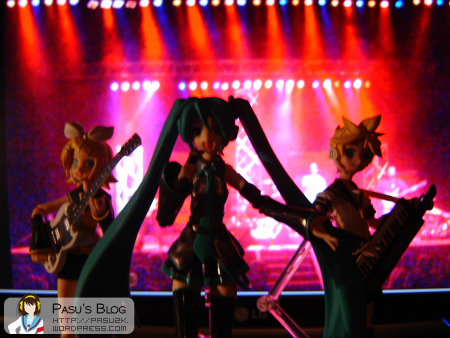 I also took some pics of the Vocaloid Petit Nendo’s, but forgot to set up my camera for high quality photo’s =_=;; They’re all 640×480, so I’ll have to redo them. Here’s one so you see how they’ll look like though~ For the background I’m using iTunes sound visualizer |D Looks perfect. 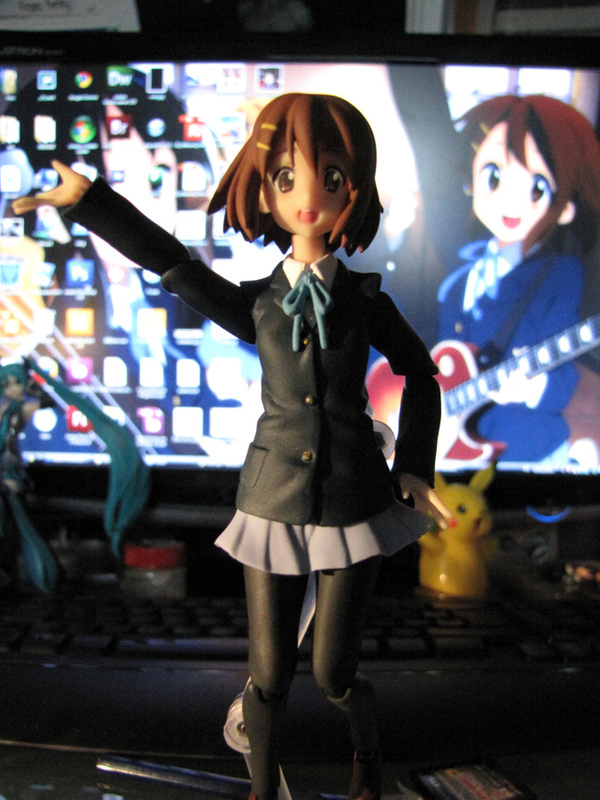 I also FINALLY got Yui figma in the mail. Last time I’m buying from Dendenkwok of eBay. The package was just some wrapping paper and plastic, so the boxes came in all dented. Also, not related to the seller, I took EMS for a change, because Yui is my fav girl in anime at the moment so I wanted her quickly. Still took over 3 weeks to get here. 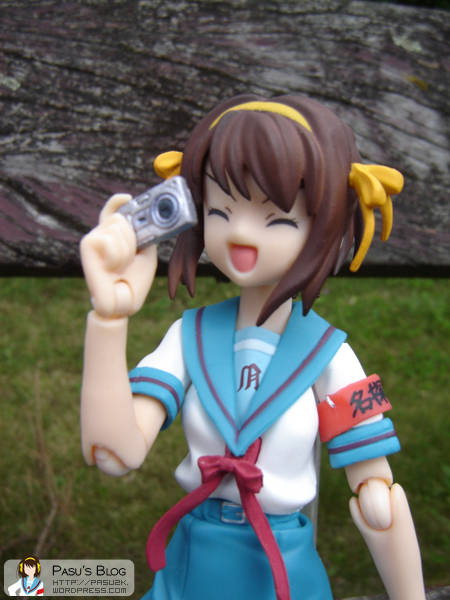 Figure is of course fine, looks cute right? ❤ More of these soon! 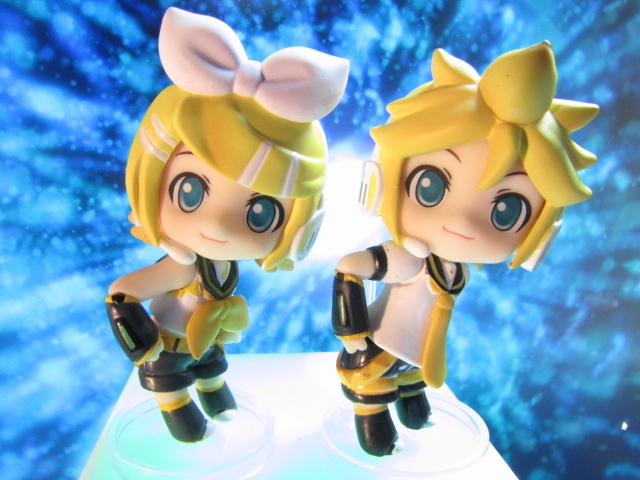 Hobby Search has started taking pre-orders for the upcoming Nendoroid Petit line for 5700 Yen! 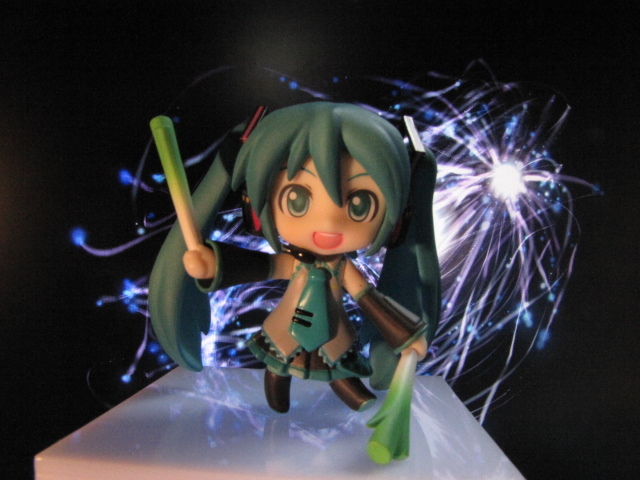 For the unknowing: The Petit figures all come in random boxes, one big box contain 12 boxes, so 12 figures. Since the series has 10+1 secret, you’ll always have a double. It could also very well be you do not get the whole series, but that’s usually the case. For example, when I ordered a box of 10 Lucky Star figures by FREEing (5+1 secret), I got the four main girls double, and Kuroi-sensei + secret once. Yeah, stuff happened irl, which I won’t get into much detail here. To make up for my inactivity, here’s a photo I took earlier today. I did get spring batch 3 yesterday (including Len, as you can see), and I’ll tell you all about it as soon as I have time for it!